At Walgreens your satisfaction is very important to them. Their claim is if you are unhappy with your purchase, you may return it to any of their nationwide stores for an exchange or refund within 30 days. You must have the original receipt, items will be exchanged and/or refunded for the full purchase price. Refunds will be issued in the original method of payment that you had paid. If you made a purchase and do not have the original receipt, the items will be exchanged or refunded at the lowest advertised price within the 30 days prior to the date of return. Have questions or comments? 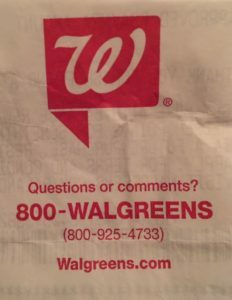 Contact Walgreens. Powered by Store Theme. © 2019 Store Return Policy. All Rights Reserved.